Interesting transfer news are out claiming that Arsenal are lining up a sensational raid for Manchester United star Wayne Rooney. The Daily Star Sunday reported that Emirates boss Arsene Wenger is a big admirer of the England striker and is armed with a major transfer budget this summer. That could lead to a £25 million offer for Rooney, 27. 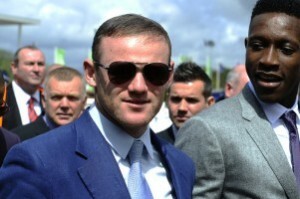 The United striker is bemused at claims that he indicated he wanted to leave United. But Arsenal are eyeing the situation, however wages of more than £200,000-a-week and United’s expected reluctance to sell – particularly to another English club – represent major hurdles.